A six-phased Assembly elections in West Bengal, a two stage poll in Assam and a single day poll in Tamil Nadu, Kerala and Puducherry were announced on Tuesday by the Election Commission, setting in motion the largest such exercise after 2009 Lok Sabha polls. With parts of the state affected by Maoists activities, West Bengal will have elections in six phases on April 18, 23, 27, May 3, 7 and 10, in perhaps the longest ever in the state, also known for political violence. Tamil Nadu, Kerala and Puducherry will go to polls on April 13, Assam’s two-phased poll is scheduled on April four and 11. Counting of votes in all the five states will take place on May 13. The model code of conduct has come into force immediately, Chief Election Commissioner S Y Quraishi said announcing the schedule. While West Bengal has 294 assembly constituencies, Tamil Nadu has 234, Kerala 140, Puducherry 30 and Assam 126. The elections are the first battle of the ballot in the new year and would involve over 14.39 crore electorate in the five states with West Bengal having the largest number of over 5.60 crore electors followed by Tamil Nadu 4.59 crore. While Kerala has 2.29 crore electors, Assam 1.81 crore and Puducherry is merely over eight lakh. Polling will be held through Electronic Voting Machines (EVMS). 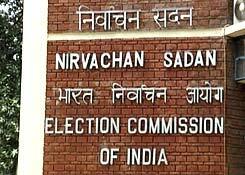 Asked as to why the EC has gone in for a six-phased polls in West Bengal, the CEC said that a decision was taken keeping in view the “ground realities”. The EC had already sent two teams to the state to study the law and order situation. On reports that 100 companies of Central Paramilitary forces have been made available for the conduct of elections, he merely said that the EC never discloses the forces it has and the government has assured adequate forces for ensuring free and fair polls. A highlight this time is that Overseas Indians could exercise their franchise in person and instructions have been issued to facilitate their voting. There have been elections only to few states since last Lok Sabha polls including those in Maharashtra, Arunachal Pradesh, Jharkhand and Haryana in 2009 and Bihar in 2010.